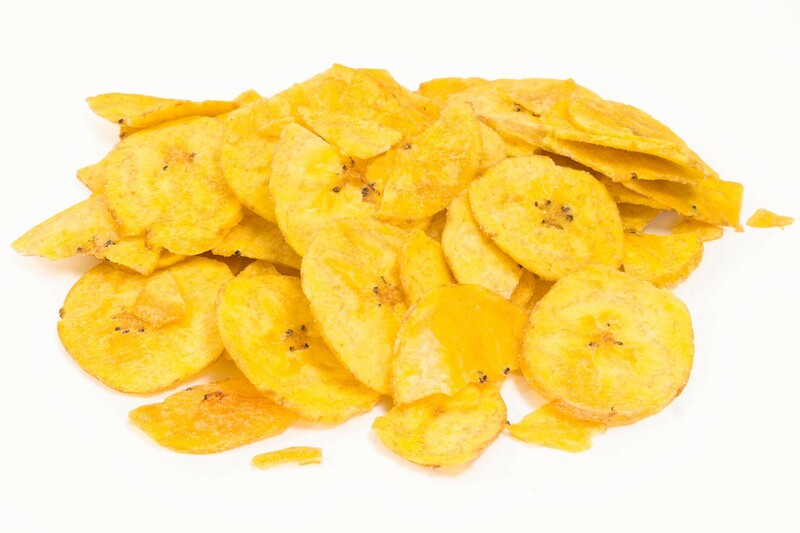 We use only the best Bananas for our crunchy Banana Chips, loaded with potassium, iron, and fiber. A deliciously healthy alternative to the potato chip, you still won't be able to stop after just one! Snack alone, incorporate into recipes, or add into your own trail mix. Like this mix? Try our Apricots! Dried bananas are best eaten as a snack on their own, with nuts, chocolate or as part of a trail mix. Bananas are not just for monkeys! They have many nutritional benefits. FULL OF FIBER: Bananas have pectin which is a soluble fiber that can help fight off colon and pancreatic cancers and also aid in digestion. Bananas can also help tame an upset stomach by blocking the stomach lining from the acids that cause upset stomachs and heartburn. POTASSIUM SOURCE: Bananas are a source of potassium making them a great snack for recovery from physical activities. Potassium is a mineral that works by protecting blood vessels from oxidative damage. It helps the body build protein, build muscle, burn carbohydrates, and control its acid-base balance. MOOD ENHANCER: Bananas can help with depression, due to high levels of tryptophan. Tryptophan is an amino acid that converts to serotonin which elevates a the mood. Bananas contain high levels of B vitamins, vitamin C, and magnesium. TOP KITCHEN USES: There are many ways you can consume banana chips and crisps. The simplest way is just to eat them plain. Their crispness gives them a crunch and can be a great way to add texture to food. Use them as a topping on sweet breakfast dishes, in a trail mix in granola, dip them in chocolate, or add them to a baked dish. 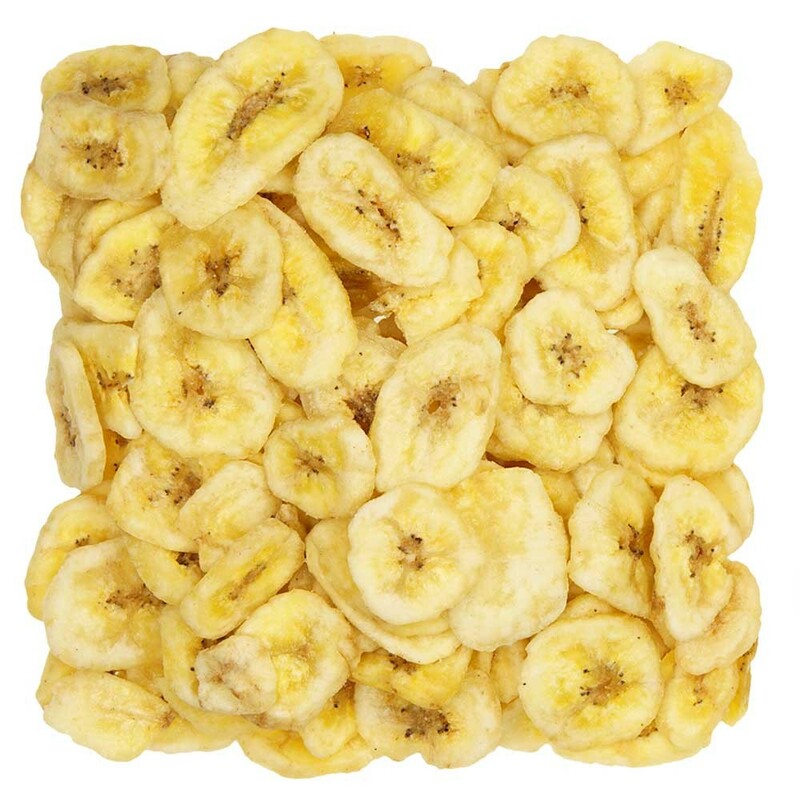 Banana chips from eatnuts.com are dried for that perfect crunch and still maintaining all of the healthy benefits you get from the fresh fruit! Try these as a healthy snack today!